A tummy tuck permanently restores firmness to the stomach and removes any loose skin. 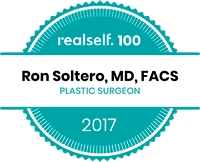 During the procedure, an incision is made at the pubic bone (your scar, once healed, will be concealed by bathing suits and underwear) through which Dr. Soltero will tighten up the muscles. Small pockets of fat can be removed with liposuction. 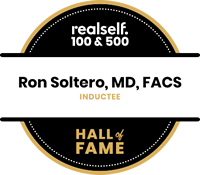 Once the muscles are tightened— Dr. Soltero will make the muscles as tight as possible so that the stomach will keep its new shape as long as possible—and the excess skin is removed.